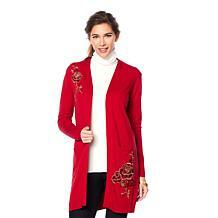 One for the money, two for the fashion show. 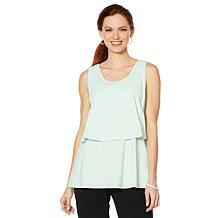 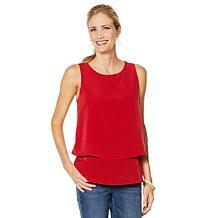 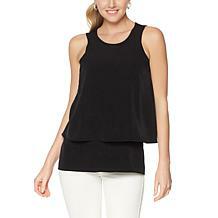 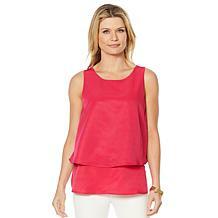 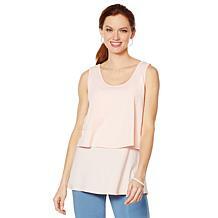 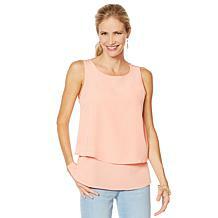 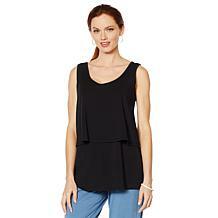 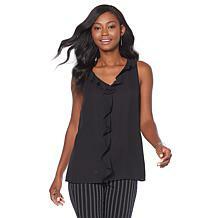 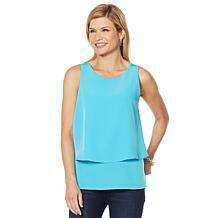 This layered set includes a cami for ease in looking fabulous in minutes. 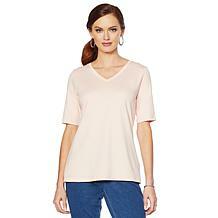 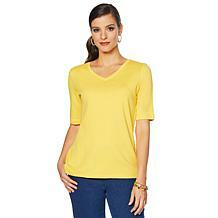 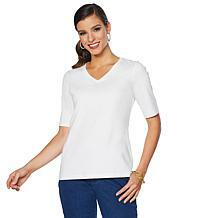 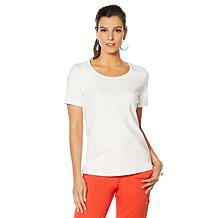 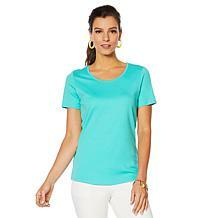 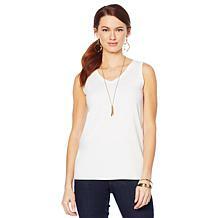 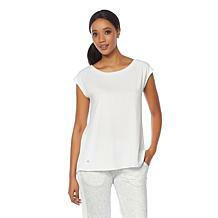 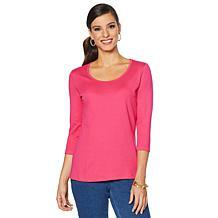 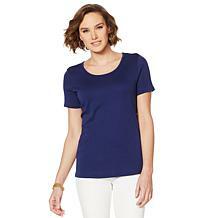 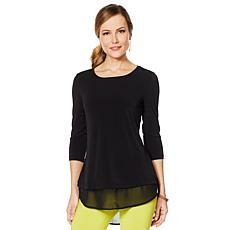 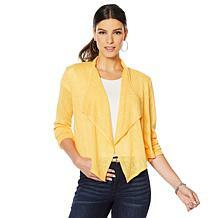 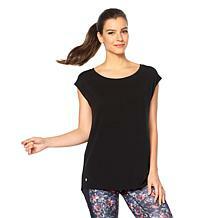 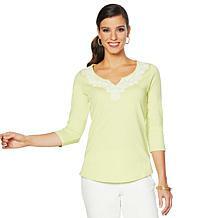 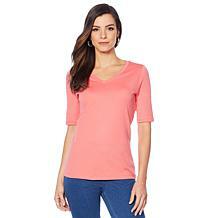 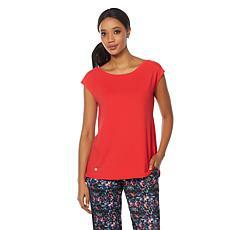 Lemon Way Perfect Pima Scoop-Neck Tee Build your foundation wardrobe with this classic, scoop-neck tee. 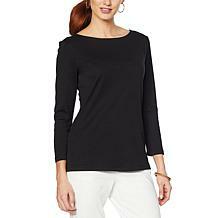 In a supremely soft, stretch Pima cotton knit, the short-sleeve pullover becomes an under or outer garment for layering all year round. 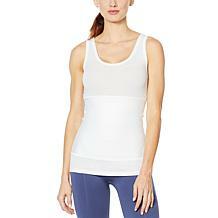 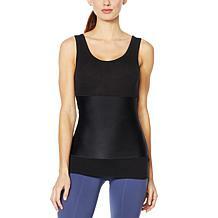 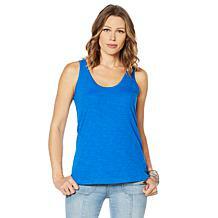 ModernSoul Double-Layer Tank Top Your lifestyle just got easier. 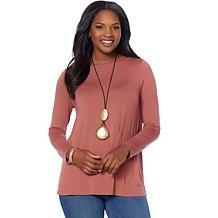 This brand gets down to the soul of who you are by creating modern, everyday essentials that layer and mix and match for practical year-round style. 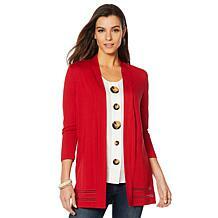 Big buttons, bold style. 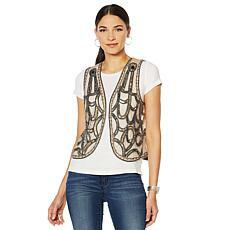 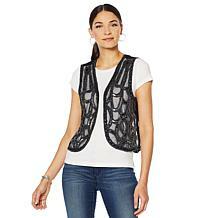 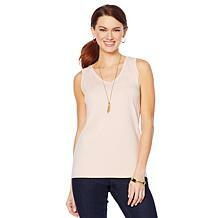 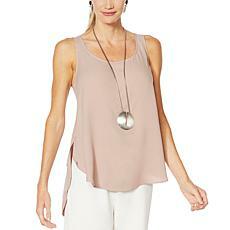 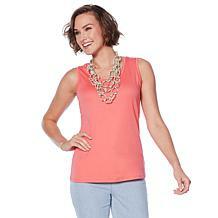 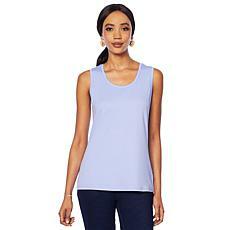 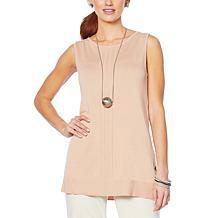 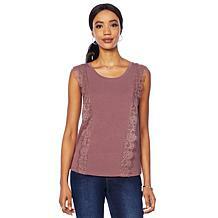 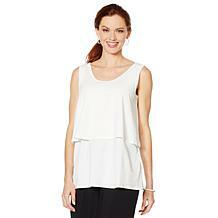 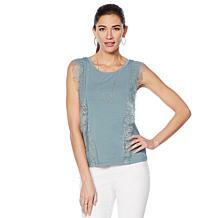 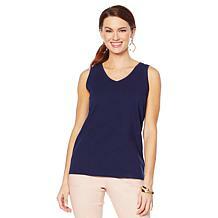 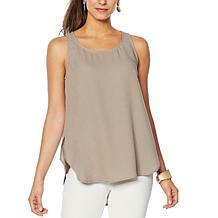 Whether layered under a cardigan or on its own, this lightweight linen tank is accessorized for a head-turning look. 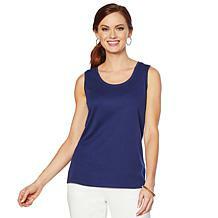 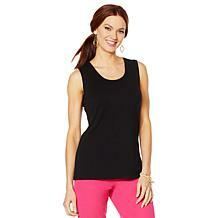 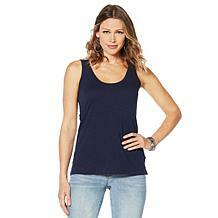 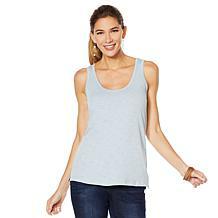 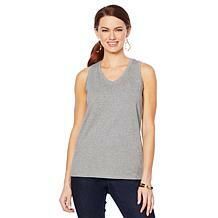 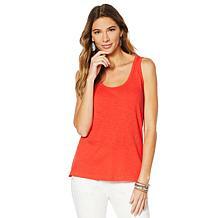 Build your foundation wardrobe with this classic tank. 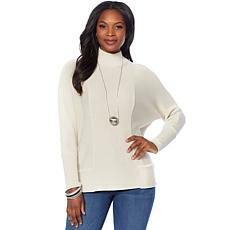 In a super-soft stretch cotton knit, the scoop-neck pullover becomes an under or outer garment for layering all year round. 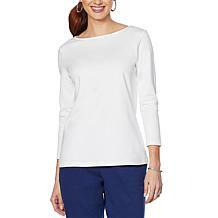 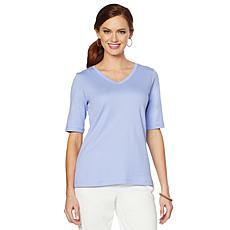 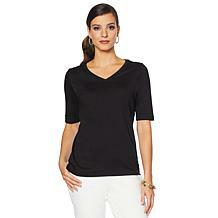 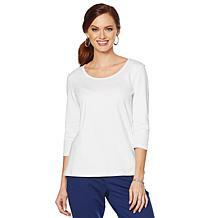 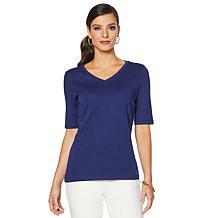 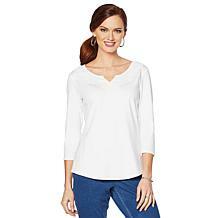 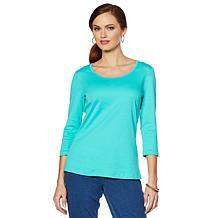 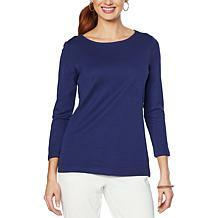 Build your foundation wardrobe with this classic, 3/4-sleeve-length tee. 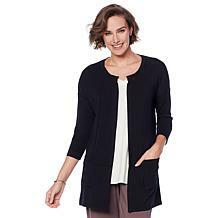 In a super-soft stretch cotton knit, the scoop-neck pullover becomes an under or outer garment for layering all year round. 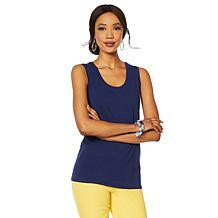 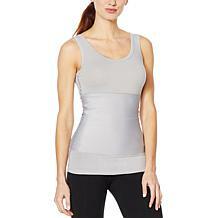 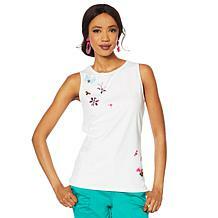 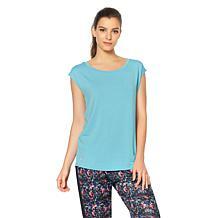 Lemon Way Perfect Pima Butterfly Tank Basics with a boost. 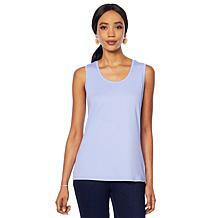 This supremely soft, Pima cotton knit tank features delicate butterfly embroidery for a look that can be worn and layered all year long. 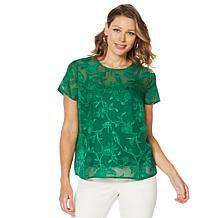 Build your dream wardrobe and all with MarlaWynne to help you. 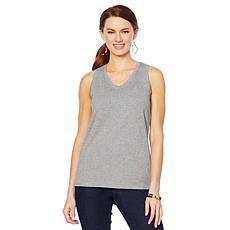 This effortless and seasonless tank layers up under V-neck sweaters and over long-sleeve tops and tees, well, perfectly. Build an enviable wardrobe with quality basics you can wear layered or on their own. 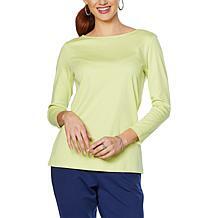 Available in a broad spectrum of colors to go with everything. 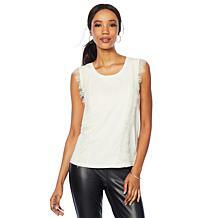 Layering is easy — all you need are a few key pieces, and this tee must be one of them. 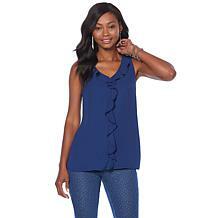 Its soft texture and flattering profile make it effortless over denim jeans, trousers and fitted skirts. 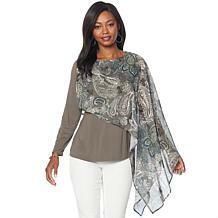 Top it with a scarf and there you have it: a 3-piece pulled together look that lasts. 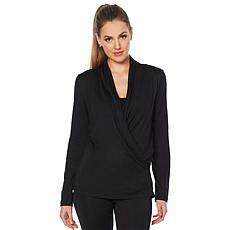 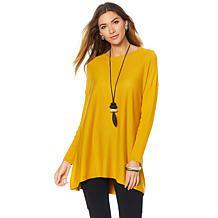 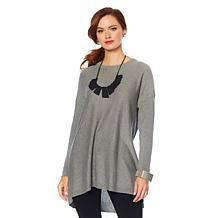 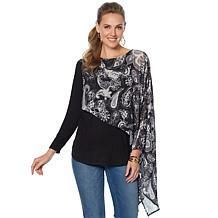 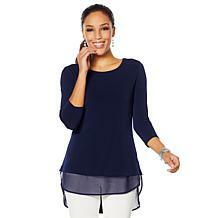 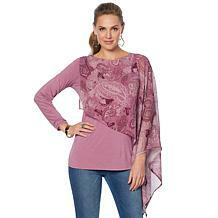 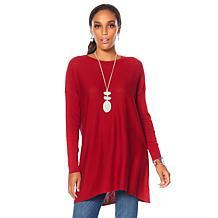 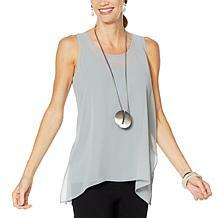 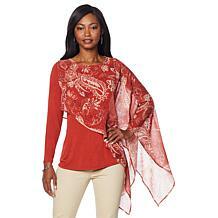 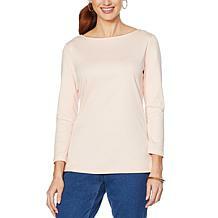 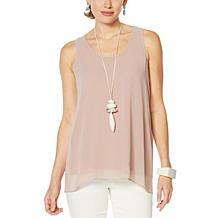 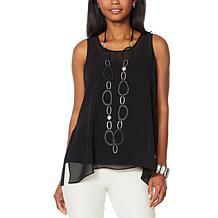 Exquisitely seamless this tunic makes layering up and looking polished … effortless. 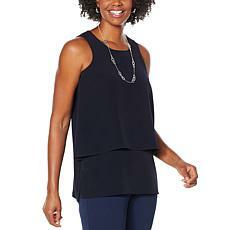 Maybe an outfit isn't coming together, or the A/C is blasting at the office. 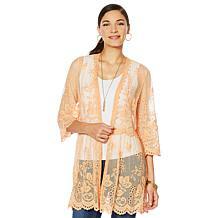 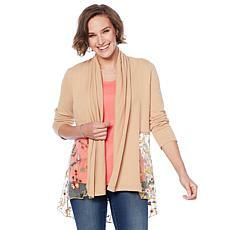 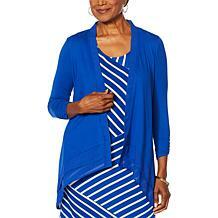 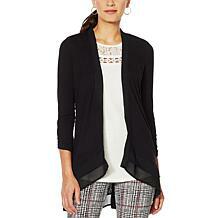 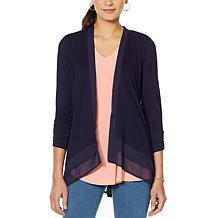 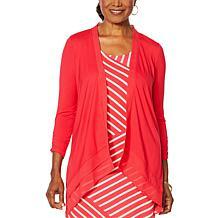 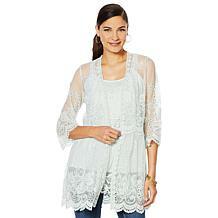 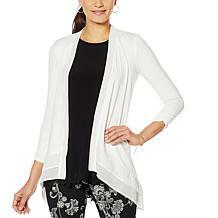 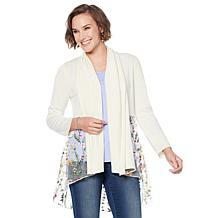 This short cardi comes to the rescue as a lightweight layering piece. 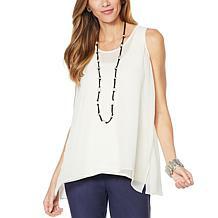 Effortless and undeniably chic. 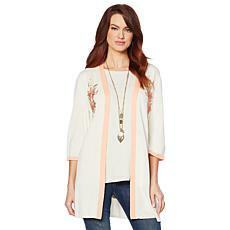 This tunic gives you a flattering, layered look for all your warm-weather days ahead. 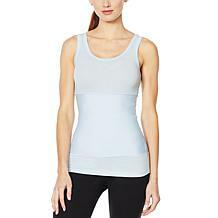 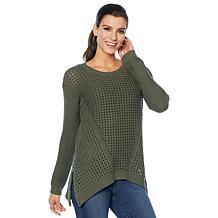 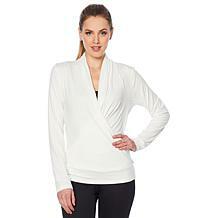 Whether you run hot or cold, this airy pointelle sweater has you covered. Layer it over a cami or tee and capitalize on the unique fabrication and swingy trapeze silhouette accented with functional metal zippers. 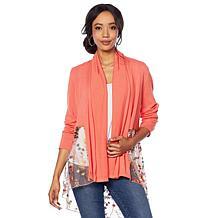 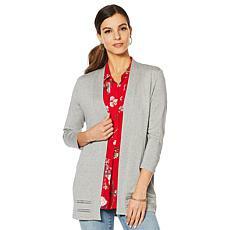 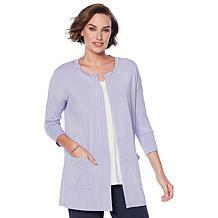 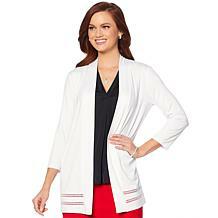 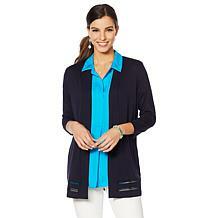 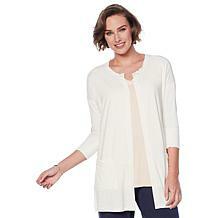 ModernSoul Easy Knit Jersey Cardigan with Pockets Your lifestyle just got easier. 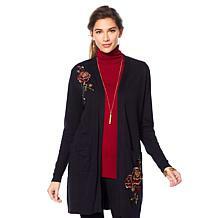 This brand gets down to the soul of who you are by creating modern, everyday essentials that layer and mix and match for practical year-round style. 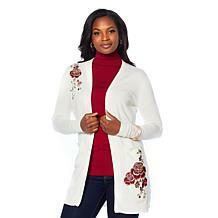 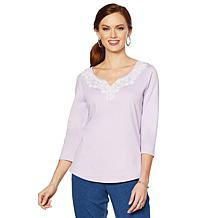 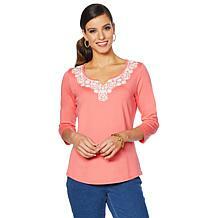 MarlaWynne Mixed Stitch Sweater When weather takes a turn to cooler temps, a sweater makes it all better. 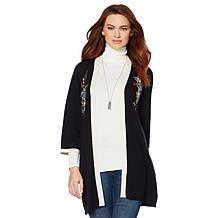 This MarlaWynne topper makes dressing in layers effortless, so, pair it with fitted skirts and trousers and all your seasonal staples.